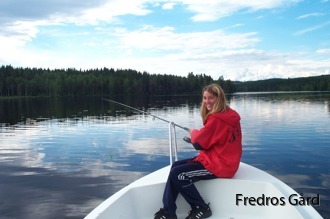 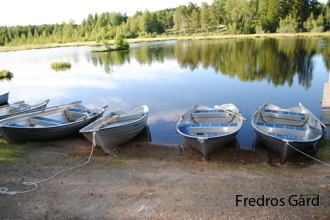 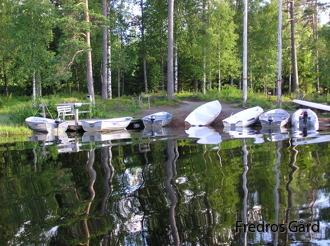 Fredros Gård offers you undamaged and well-preserved fishing waters in a sparsely populated area where you will be almost alone with your fishing rod. 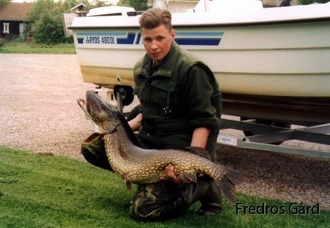 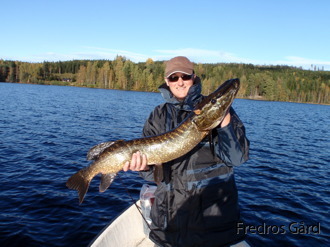 The genuine Swedish sport fishing with pike, perch and trout is something unique and exotic, which makes South- and Central Europeans travel hundreds of miles in order to experience! 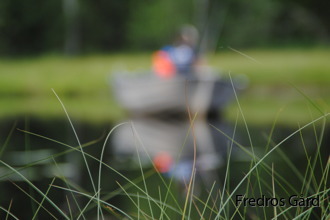 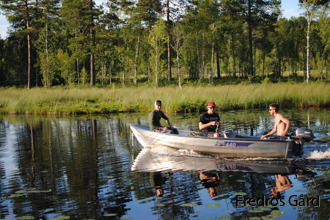 Fly fishing and angling is also popular in our Värmlandian waters and it generates great amounts of fine perch, pike and trout. 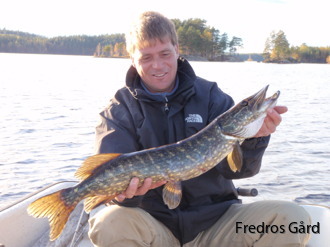 We wish you good luck with your fishing in Fredros!